Luna: Pepper Stitches Mix Tape Cushion. 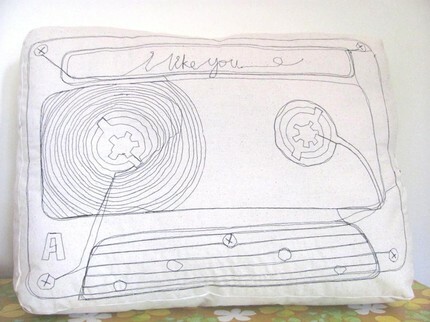 Pepper Stitches Mix Tape Cushion. 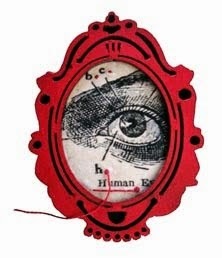 PS This clever design is available free to download from the Pepper Stitches blog along with several other great patterns here. What a great cushion. I remeber mix tapes and the thrill of having a boy do a tape for you. They carried layers of meaning. You have made me comeover all nostalgic. I remember the mix tape you made for me before I went travelling overseas all those years (decades) ago. Side one had 'daytime' songs on it and side two had 'night time' ones. It was my favourite tape for ages until it went missing after my flatemate in London used our flat for a short film he was making at the time. I suspect one of the crew or extras took it. And don't forget the 'get down' tapes we made for our 21st birthdays. We made three mix tapes for my party and then you used them a few weeks later for yours. I think I might have one of them somewhere - time to go hunting. If I find any I'll bring them over. Am loving all this nostalgia.